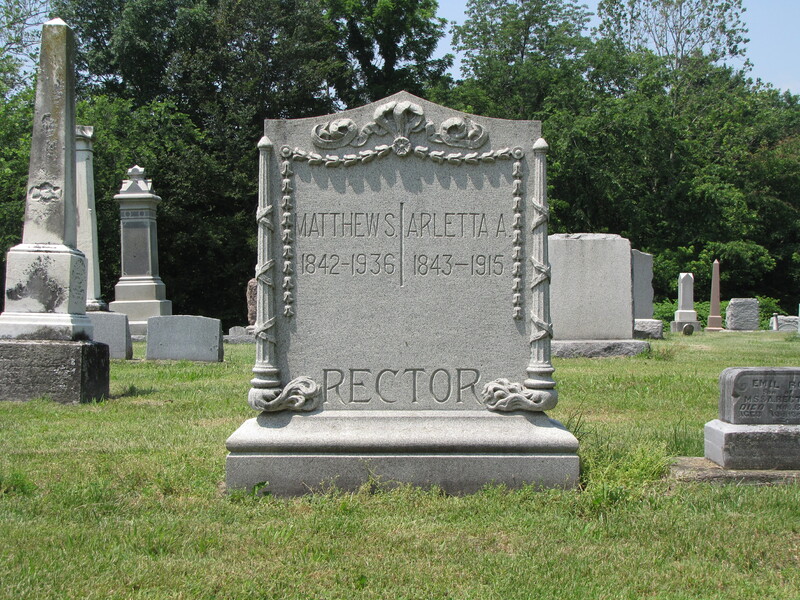 On the corners of the gravestone above are two inverted torches. 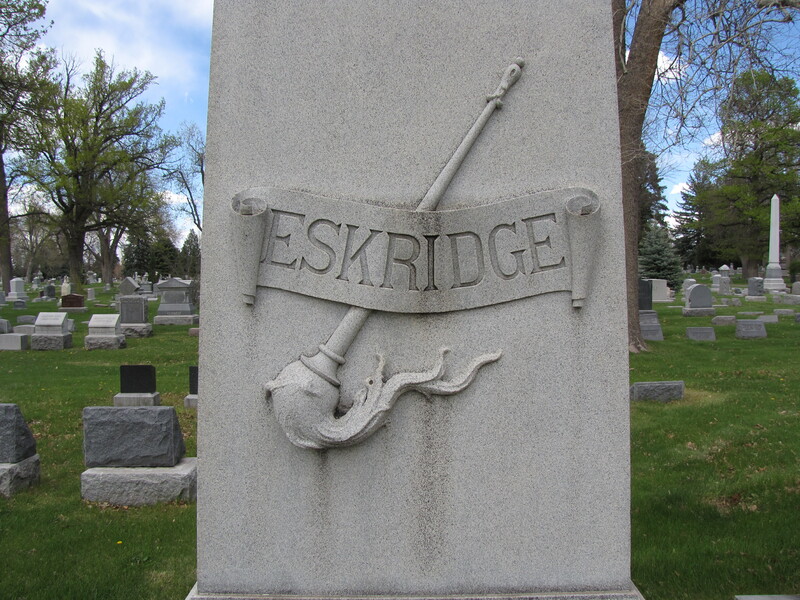 The flames coming from the bottom of the torches are curling toward the center of the gravestone. The flame or fire is symbolic of the soul. Here the inverted torch represents a life that has been extinguished. 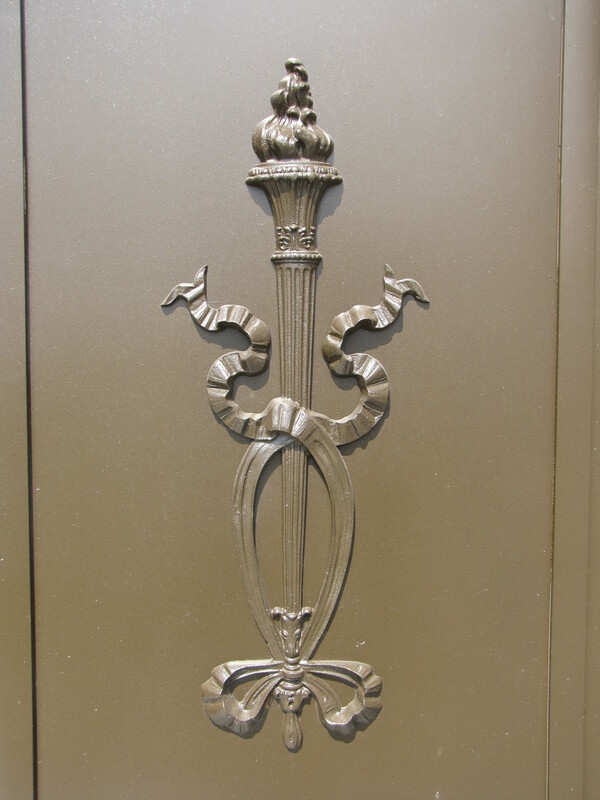 Now turn the torch upright with the flame atop as depicted below on a mausoleum door and the flame represents life. The torch is also seen as an instrument that illuminates the darkness representing enlightenment. It can symbolize zeal, liberty, and immortality.